There was a big balcony with chairs and a table. Balcony overlooking bautiful nature. The room was big. The beds where good, a swedish brand "Hästen bed" You could park outside the door. Breakfast was good for that price. The room itself was pretty nice and we enjoyed our stay. I was travelling on a bike across Scandinavia. You are in the centre of nature there - you can sit at the table enjoying the view of forest. Friendly staff and very good and and tasty breakfast. The location provides a convenient place to break your journey for travelers who drive long distances. Travelers can also visit the nearby city of Orebro, which is an interesting place to spend a few hours before continuing your journey. 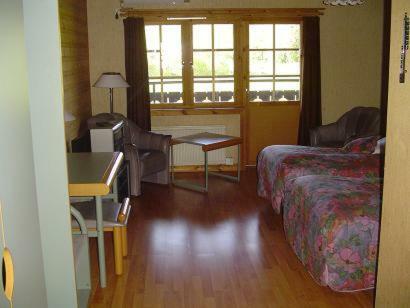 large comfy room with balcony in log cabin type building. Old fashioned décor but plenty of room and furniture, The food was good and freshly prepared and although there seemed to be only three members of staff they were friendly and efficient. Allt,det är därför som jag återkommer dit hela tiden så fort det passar min resrutt. Bra läge, stort och rymligt! Bekväma sängar och välstädat! Absolut okej boende utifrån vad jag betalade! Sanna Kroa Motell och Restaurang is located in Vintrosa and features a terrace. The restaurant serves Local dishes. 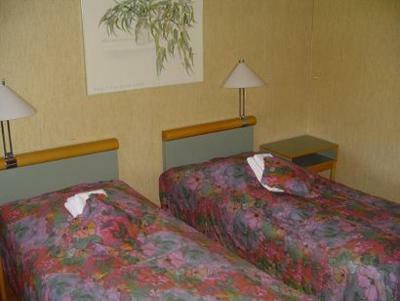 At the motel, each room includes a desk and a flat-screen TV. With a private bathroom equipped with a shower, rooms at Sanna Kroa Motell och Restaurang also offer free WiFi, while selected rooms will provide you with a balcony. Guest rooms have a closet. Örebro is 8 miles from Sanna Kroa Motell och Restaurang, while Karlskoga is 22 miles from the property. The nearest airport is Orebro Airport, 2 miles from the property. 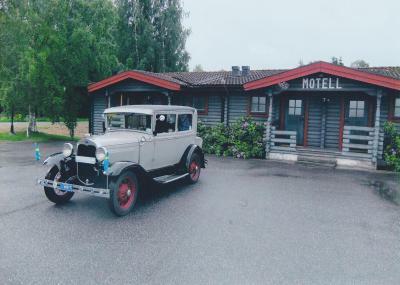 When would you like to stay at Sanna Kroa Motell och Restaurang? House Rules Sanna Kroa Motell och Restaurang takes special requests – add in the next step! Sanna Kroa Motell och Restaurang accepts these cards and reserves the right to temporarily hold an amount prior to arrival. You had to keep the window a bit open to get some air during the night. Breakfast was very simple, but understandable compared to the cheap price of the room. My only complaint is that the TV was limited ti four Swedish channels so if you want to stay in for the evening there was nothing to do. The walls in the bathroom could be better cleaned. The Environment is not good and the condition of the Buildings are in bad shape.